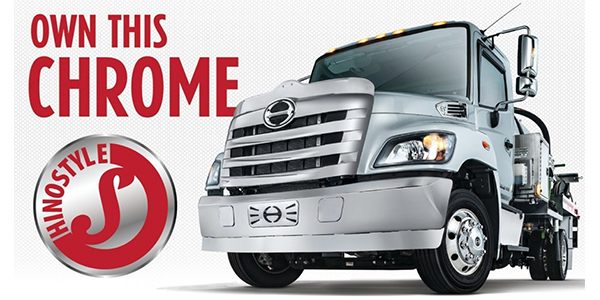 Hino Trucks’ line of popular chrome accessories, HinoStyle, now has its own website. The new dedicated site, www.hinostyle.com, provides interactive features that allow customers to quickly navigate and view the accessories needed to add a custom look to their truck, making locating and ordering these parts effortless, according to Hino. For a limited time, when Hino owners visit this new site, they can register for an opportunity to win $3,000 in HinoStyle accessories. HinoStyle accessories are exclusive to authorized Hino Truck dealerships. The current lineup of parts includes wheel accessories, interior and exterior accessories such as seat covers, floor mats, sun visors and steps. For a complete dealer listing and to view the HinoStyle accessories catalog, visit www.hinostyle.com.